ArmRx is happy to announce it’s new Patient referral Cards - now available FREE to Dealers, Doctors and Healthcare Clinics! Attention Healthcare Professionals - Are you still telling patients to tie a garbage bag around their injury? If so, most likely it’s because you don’t feel you have an affordable, reliable, professional option to recommend to them. Request Your Supply Of FREE Patient Referral Cards Today! 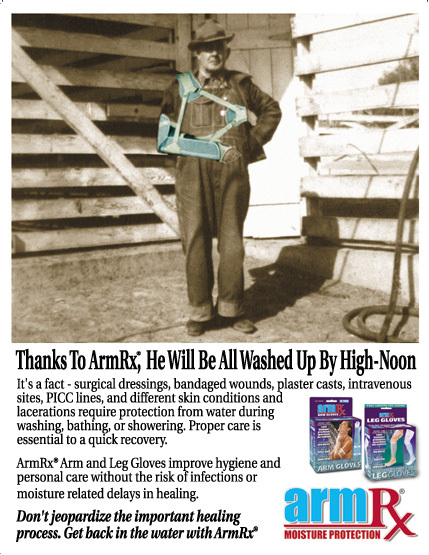 ArmRx, the same new professional waterproof protection being used by hospitals and healthcare facilities nationwide, is now available for continued care at home! 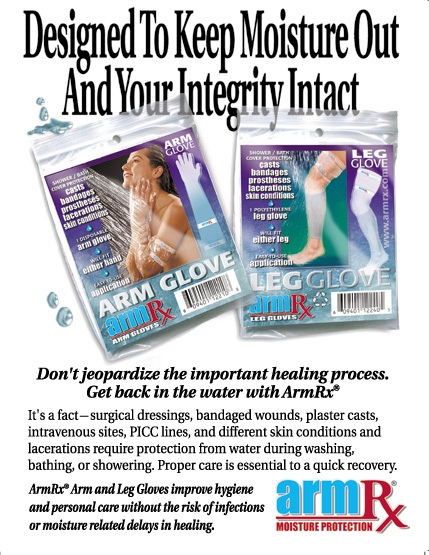 ArmRx is designed to both affordably and reliably protect injuries to the arm and leg from moisture penetration during the crucial healing period. Now you can feel confident recommending ArmRx products to your patients - but more importantly, your patients can afford to feel confident, too! 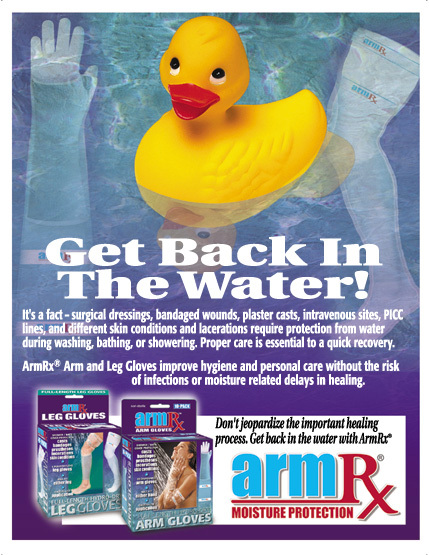 ArmRx - the most reliable and affordable Shower and Bath waterproof protection for the continued care of casts, bandages, surgical sites, lacerations, skin conditions, prostheses, burns, IV, PICC Lines, and a variety of hand, wrist, arm, ankle, leg, and foot conditions at home or during travel. To request your FREE pack of ArmRx Patient Referral Cards - call (877) 379-2278 today! Each pack is assorted with 4 colorful and professional postcard designs explaining the ArmRx product with a space on back to place personalize them with your company’s information. CALL (877) 379-2278 TO ORDER YOUR FREE PATIENT REFERRAL CARDS TODAY!